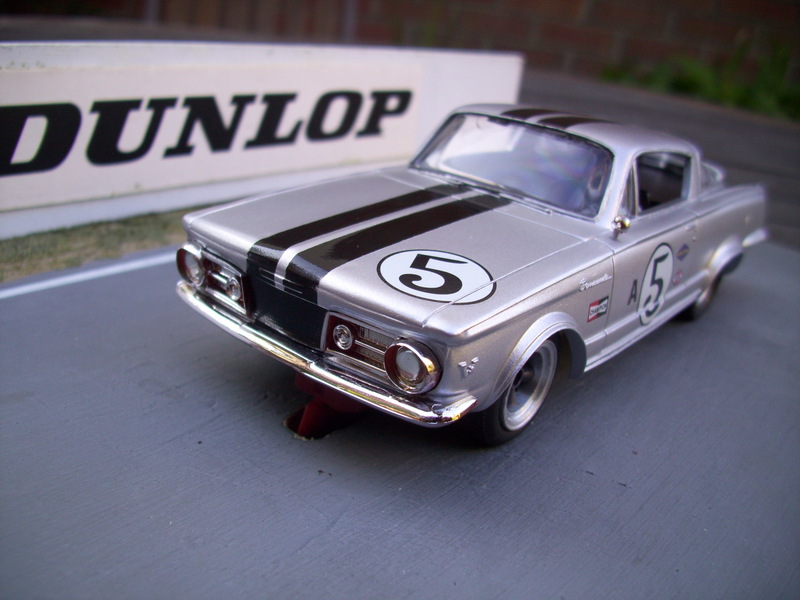 Plymouth Barracuda by Pete Shepherd. Beautiful! 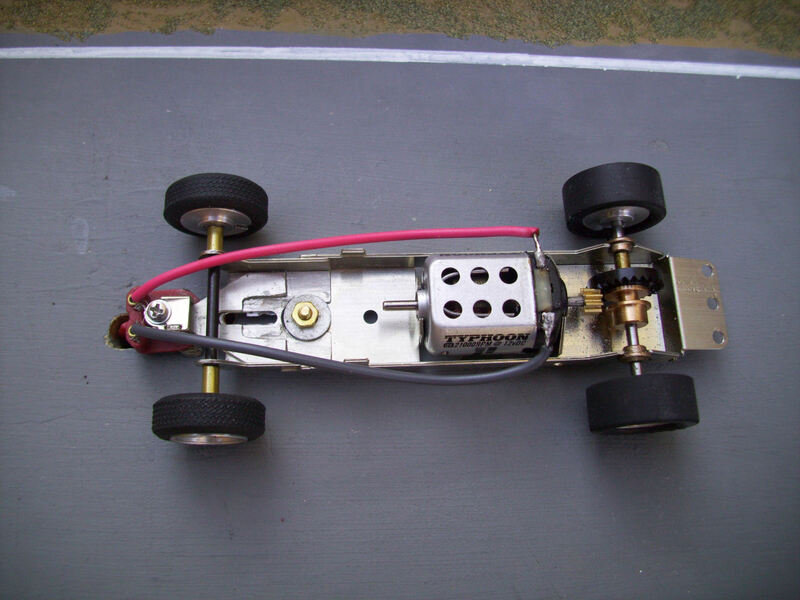 R.S.001 chassis for Plymouth Barracuda. 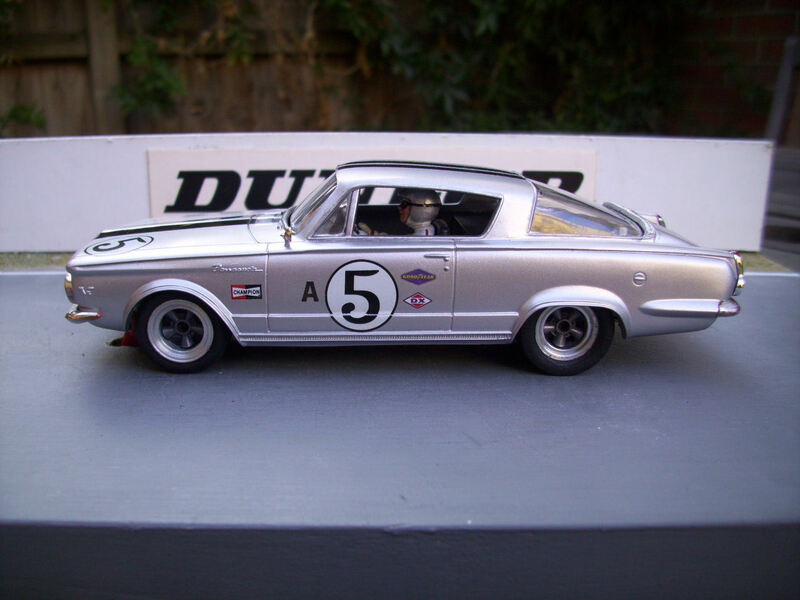 Plymouth Barracuda by Pete Shepherd. Earlybirds Entry for SSRC 2014. Well done to Alan Shawe for winning 3rd in Concours for his Alfa. 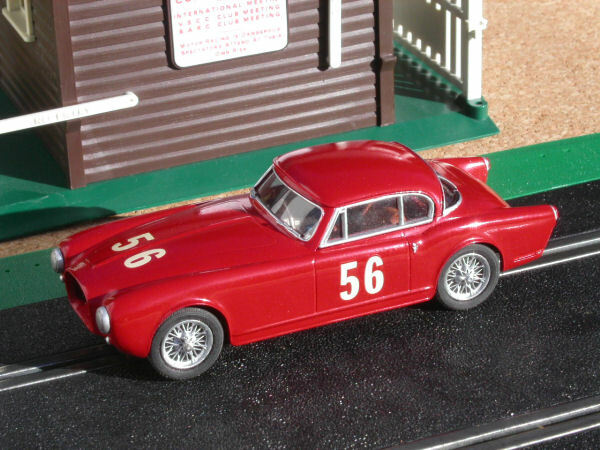 Another fantastic Dave Wisdom car. 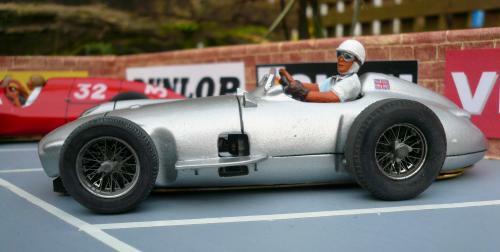 Mercedes W196 with superb driver detail. Wheels are Penelope Pitlane and all tyres are Ortmanns. 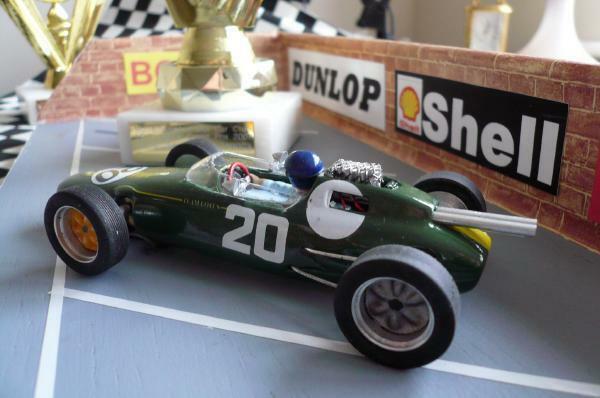 Thanks to Bill Grigg for showing us his skills in Scale modelling. 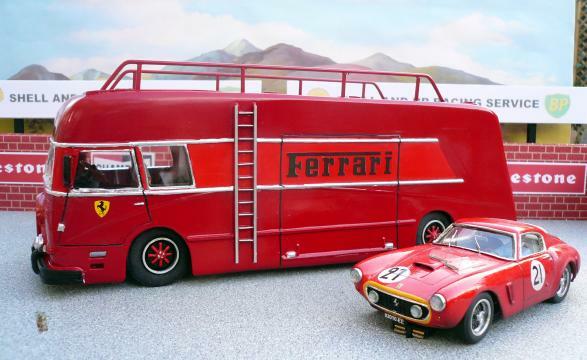 This is a Ferrari America, 50's/60's Aurora kit. Chassis is plastic card. Motor is HO and all tyres are Ortmanns. Penelop Pitlane DBR5 well and truly remodelled by Bill. Detail is superb. Nose has been cut off and shortened. 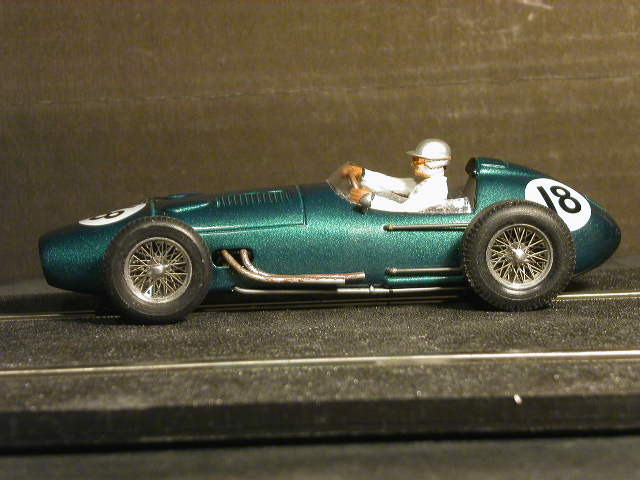 This is a representation of Roy Salvadori's car in the 1960 British GP. 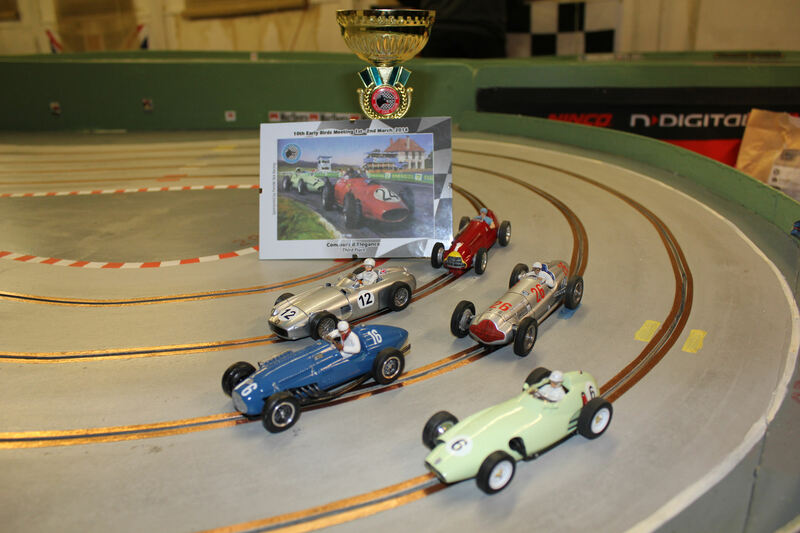 Scalextric sledge motor, Penelope Pitlane wheels and Ortmann tyres. 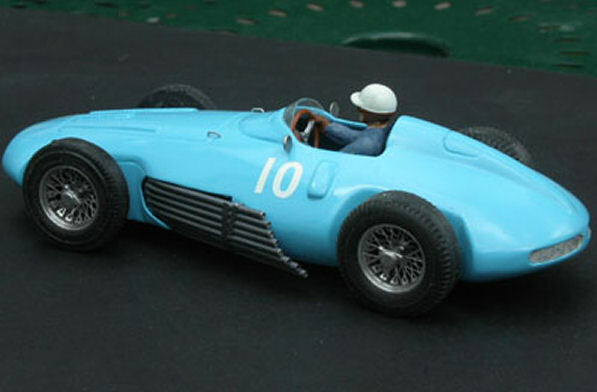 Gordini T32 remastered from a Penelope Pitlane shell. P.Pitlane wheels and inserts, Ortmann tyres. Penelop Pitlane Gordini T32 well and truly remodelled by Bill. Penelope Pitlane wheels and Ortmann tyres.